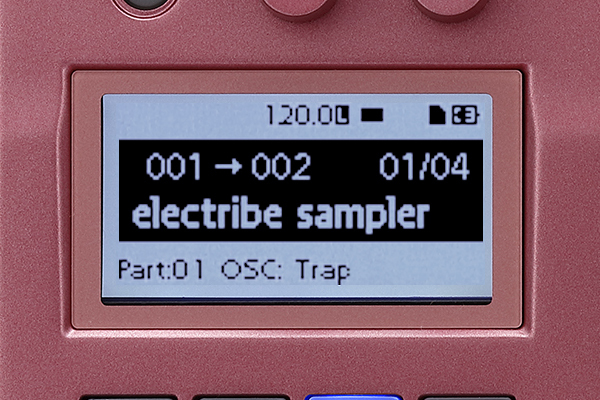 Sequences that you've created on the electribe sampler will shine even more on stage when you use the various functions provided for this purpose. For example by using, the step jump function that lets you jump instantly to the step you press, you can create dynamic performances as though you were performing the sequence itself. The electribe sampler also lets you freely use the trigger pads and touch pad to add sounds during your live performance. Thanks to the scale/key settings, you'll never play a wrong note. The sequences that you create can be played not only on stage, but are also fun to tweak in real time. The dynamic character of such changes makes this one of the electribe sampler's great pleasures. The pattern set function lets you register your favorite sequence patterns to the trigger pads and instantly switch between them. While you play, you can switch successively between patterns to vary the beat. In system version 2, a pattern change function has been newly added. Using this, multiple sequence patterns can be connected for successive playback, allowing you to construct large-scale development in your song. 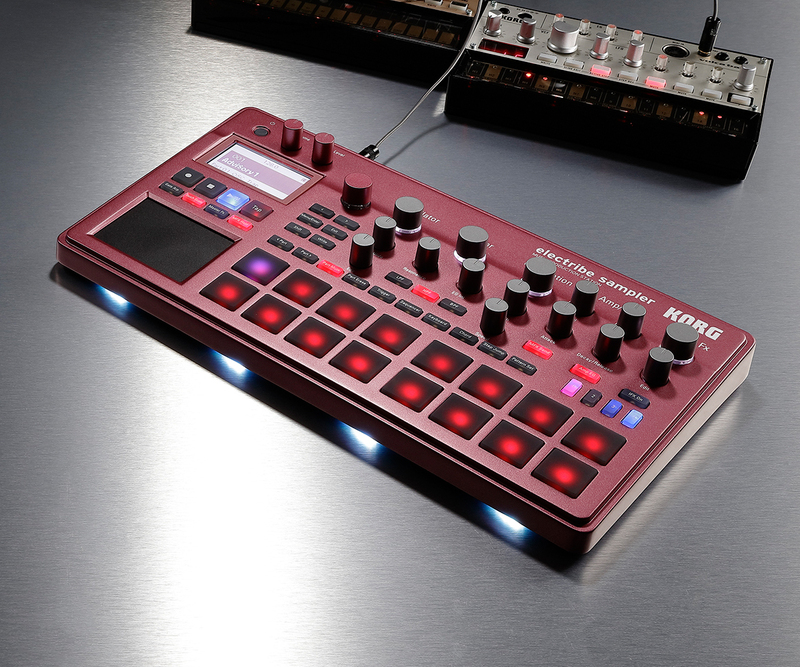 You can use the touch pad to freely control the master effect just as on the Kaoss Pad. You can use spatial-type effects to add overall resonance, or use "Looper" to easily create the texture of your sequence, or even use effects such as "Seq Reverse" or "Odd Stepper" to aggressively transform the music. This is also enormously effective in a live performance. 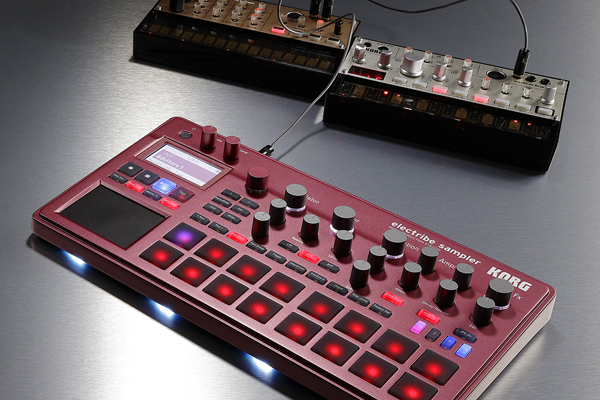 Since there's a sync jack for easy connection to KORG's groove machines, you can connect the electribe sampler to your electribe, volca series unit, or SQ-1 for playback sessions that are synchronized with your sequencer. In addition to sampling via the audio in jack, you can use it during your performances, for example by applying filter and effects to an external audio input source in real time, or using the step sequencer to turn the output on/off. In the past, machine-centric live setups required numerous synthesizers, samplers, and sequencers. 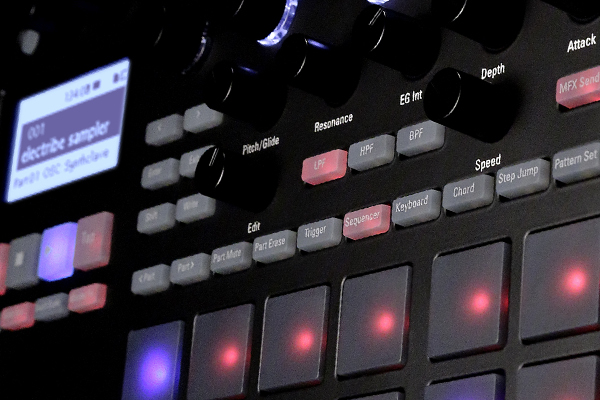 Today, the electribe sampler can function in a variety of roles, either as the master device at the center of such a setup, or as a slave device that adds sparkle to the performance. Experiment with connecting different instruments to create your very own live setup. Using your software, you can take the numerous beats that you've come up with and assemble them into a finished product. 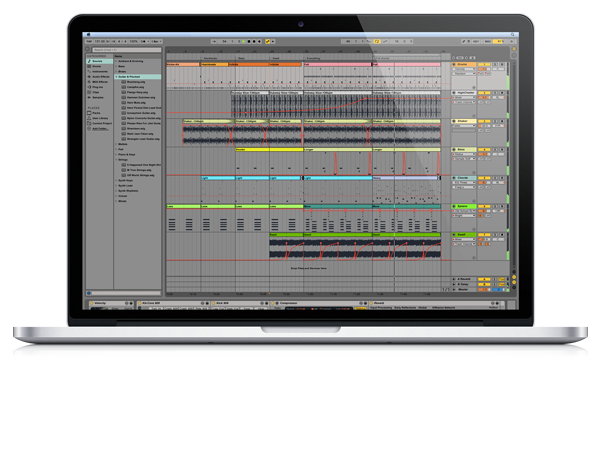 KORG has partnered with the German company Ableton to provide a new music production workflow that uses both hardware and software. 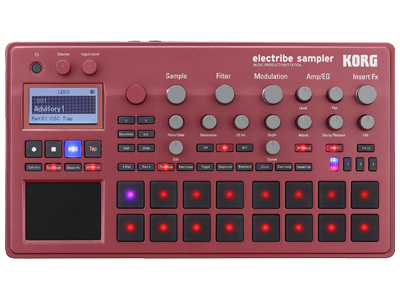 In addition to the conventional audio export, the electribe sampler has a function for exporting to "Ableton Live" DAW software. When the dedicated project file that's exported is loaded into Ableton Live, an independent audio file for each part is placed in each track of Live, allowing you to edit each phrase using loop, mute, or chop, and then mix the result. After the music you envision has taken shape as a sequence with the rapidity that's possible only with hardware, you can then use your software to edit the material in detail. This is the new workflow with the electribe sampler. Since the electribe sampler comes with a license card that lets you download "Ableton Live Lite" at no charge, you can experience this new workflow right away. 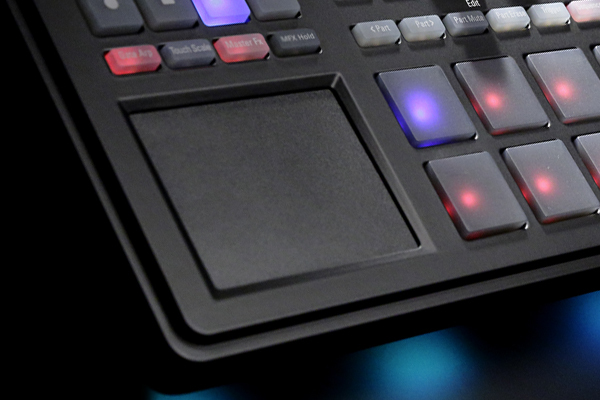 All playing gestures on the electribe sampler, including trigger pads and touch pad operations, can be recorded by the event recorder function. The recorded performance is saved in the electribe sampler's own format, and can be played back immediately on the electribe sampler, reproducing the realtime operations of your live performance. In addition to the owner's manual included with the electribe sampler, we've prepared a parameter guide that explains each function in detail (you'll need to download this). There's also a FAQ page that lists frequently-asked questions and provides answers, so check it out if you run into problems.